Students will learn the jazz language directly through hands-on work with top educators. Performance-based educational experiences are offered in Big Band, Combos, and Improvisation classes. Up and coming local players, seasoned veteran musicians and top national artists will be part of the experience. 1:00-3:00 p.m. Saturdays beginning September 10th. No cost to attend! 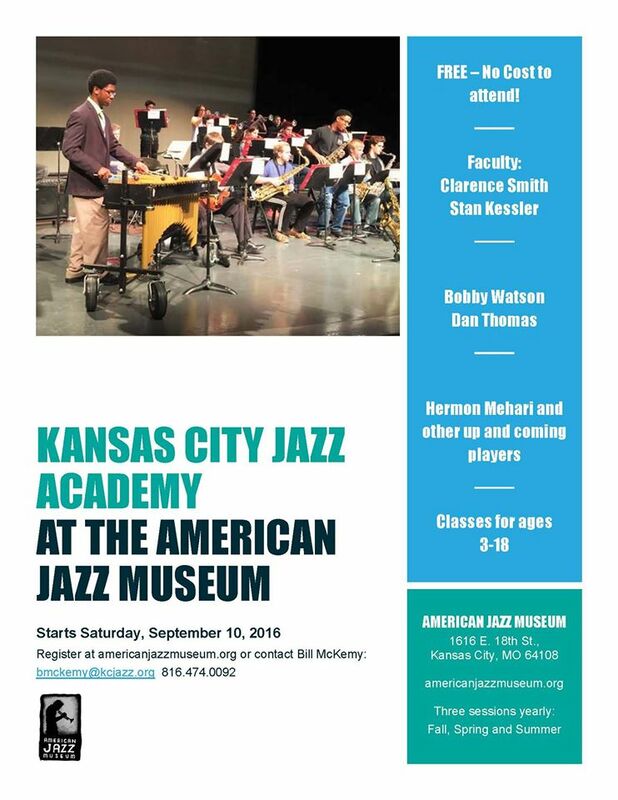 Register today at americanjazzmuseum.org or contact Bill McKemy at bmckemy@kcjazz.org. This entry was posted in ajm, Awareness, Education, Mission. Bookmark the permalink.